Kimberly Guilfoyle Fired From Fox News For Having Relation With Donald Trump Jr.
Kimberly Guilfoyle’s Relationship with Donald Trump Jr. The Fox News program has taken another run with the departure of Kimberly Guilfoyle, co-host of the television show, The Five. The 21st Century Fox-owned network declared the news on Friday afternoon in a very concise and terse explanation which says, “Fox News has parted ways with Kimberly Guilfoyle.” The exist of Kimberly has created a bit perplexing scenario with some sources claiming it to be a “mutual and amicable” one, while some are reporting the parting to be difficult. 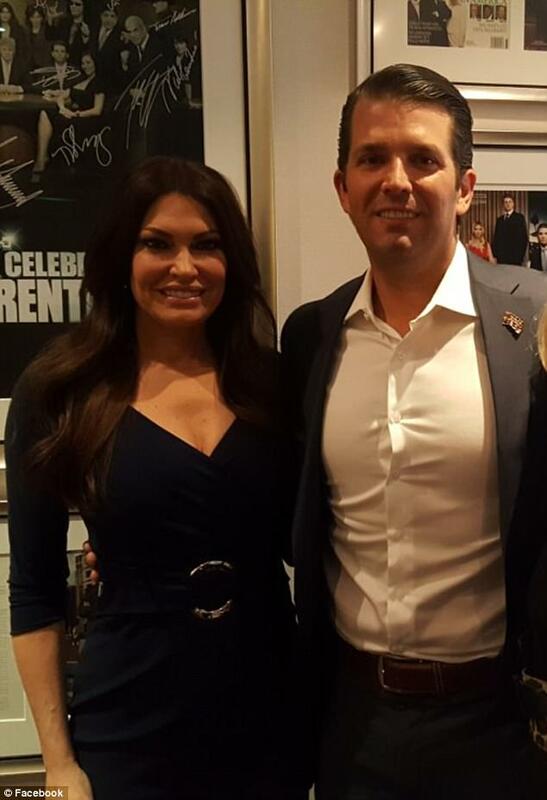 Kimberly Guilfoyle has been over and over in the headlines for her alleged relationship with Donald Trump Jr and has been supposed to be pretty close with the First Family. And, her work has been appreciated by the president Donald Trump several times. The newly elected president Trump had even considered appointing her as White House press secretary in 2016. At last, the role went to Sean Spicer. However, she was unceremoniously said farewell and didn’t allowed to show up on The Five for the last time. She was filled in by Katie Pavlich one hour after she was let go by Fox. Likewise, Katie isn’t viewed as Kimberly’s permanent replacement. Kimberly first joined the system in 2006 as a prosecutor and host of the weekend show, The Lineup. Then in 2011, she becomes part of the show, The Five. Likewise, there has been a news around for a while that she is highly expected to join pro-Trump Super PAC America First. One of the Fox News hosts, Howard Kurtz, tweeted about the possibility of that. Then, she has been under media investigation since her association with Trump Jr. became public earlier this year. It would be hard for Kimberly to offer impartial comments during the news program after all she has close ties with the Family First. Even, it has been estimated that her growing romance with Trump Jr. factored her departure, but the reason behind her exit are still being debated inside and outside the network. The duo has extensively chronicled their relationship on Instagram and other online life, which is figured to have muddled things at Fox News. In the early 2000s, she was married to politician Gavin Newsom, now lieutenant governor of California. Then, from 2006 to 2009, she was married to businessman Eric Villency, with whom she shares a son, Ronan Anthony Villency. The news of Kimberly dating Donald Jr. surfaced two months after Vanessa Trump filed for divorce in March. Donald Jr. and Vanessa share five children together.